Melbourne's historic Flinders Street Station in the foreground with the modern Rialto building in the background. 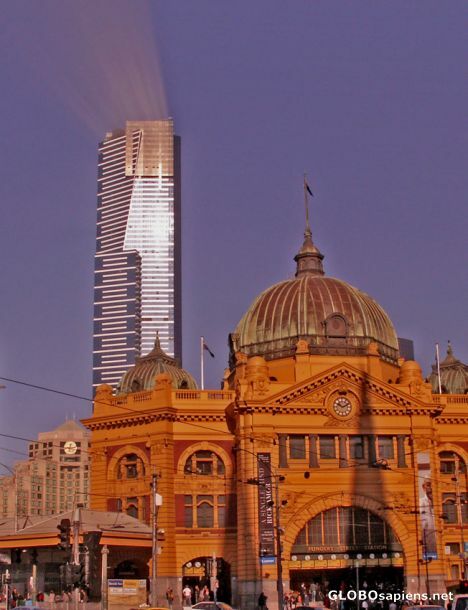 The Rialto features an observation deck with 360 degree views of Melbourne plus a skydeck that extends out over the edge. all in all, nice shot! Kerrie, great shot - what causes the light coming off the building? Is that just the angle of the glass?